Content heavy websites are a challenge to design because of the many categories of content and the different parent-child relationships that exist between them. 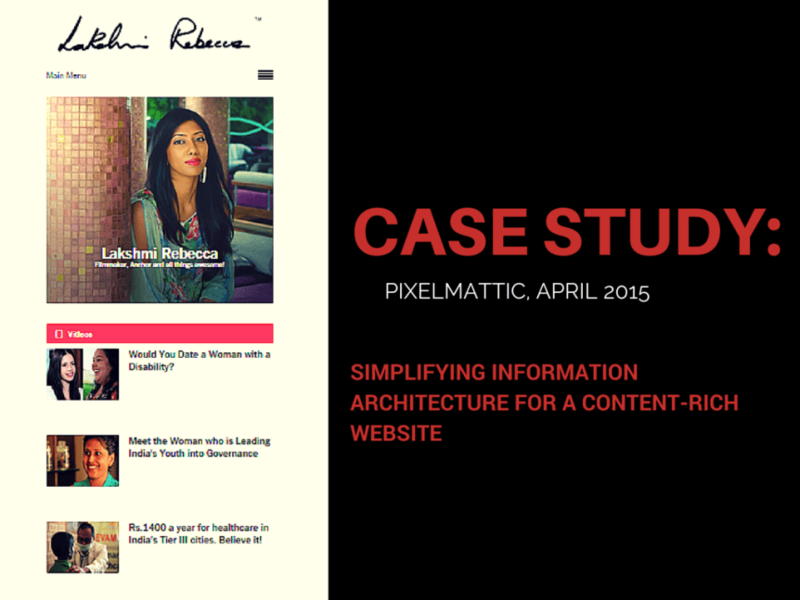 Through this case study on information architecture, we want to highlight and showcase how the efforts of good planning and collaboration can lead to good websites. 7.Adding new features that did not exist in the theme to satisfy a UX requirement. 1. Create a detailed IA for every website. Understand the actual need and requirements for the type of website design to match the content. 2. Shortlisting options and choosing the right one based on budget and time constraints. Horses for courses. 3. Customer education is important for better collaboration.